The Garden Route consists of a 300 km stretch located along the south-eastern coast of South Africa which extends from Mossel Bay in the Western Cape to the Storms River in the Eastern Cape. This infamous coastal route is amongst the most popular road trips to take when visiting South Africa and is one you should definitely tick off your bucket list. This is why we thought it was only fitting to create a narrowed down list of places YOU-MUST-VISIT when traveling along the Garden Route! Need a Rental Car? Contact Us via info@aroundaboutcars.com to Book! Unlike most people think, the Atlantic and the Indian Ocean do not meet along the Cape Peninsula located at the Cape of Good Hope (and it’s also not the most southern tip of Africa). 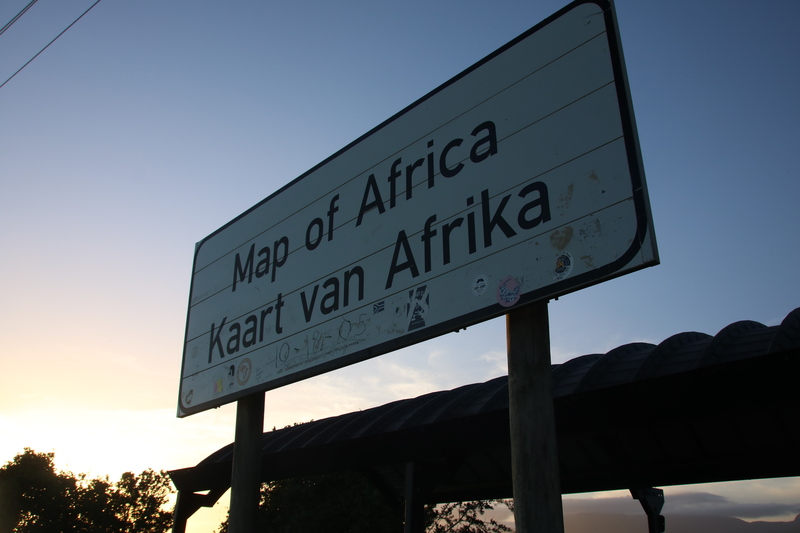 In fact, this point is located in a small town about 220 km southeast of Cape Town. 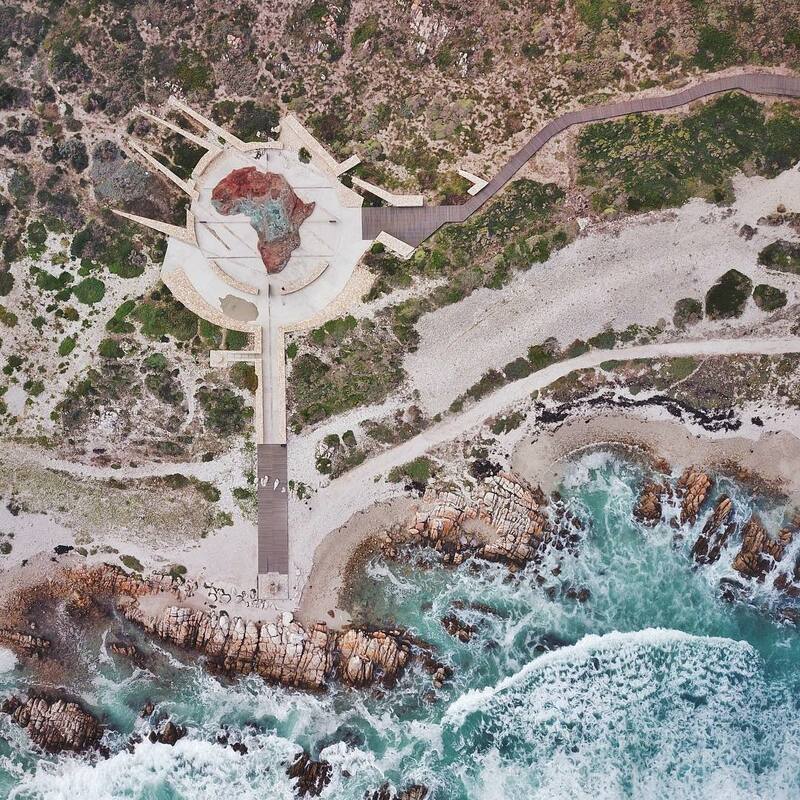 The lighthouse at Cape Agulhas shows the way to the most southern point of the African continent and at the same time the place where the two oceans meet. 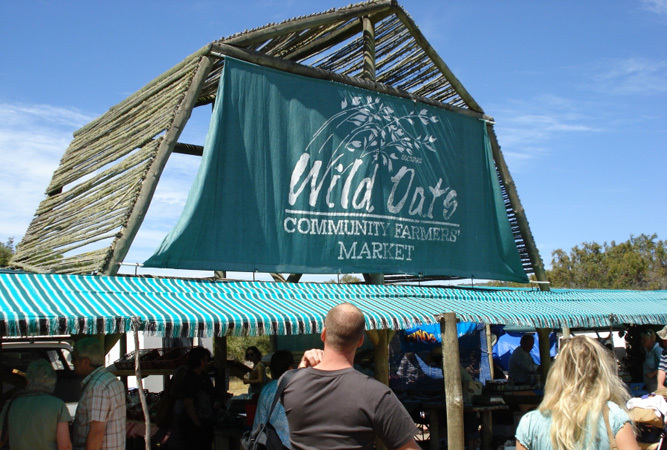 The Garden Route has alot to offer for those interested in a cultural experience. 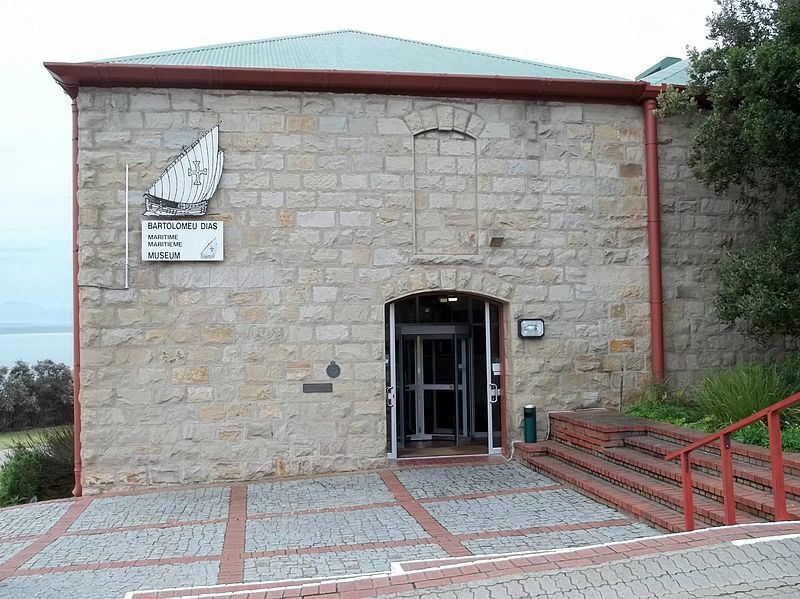 If you want to learn more about the history of the first European sailor who sailed around the Cape to India, named Bartolomeu Dias, you should definitely visit the Bartolomeu Dias Museum Complex in Mossel Bay. 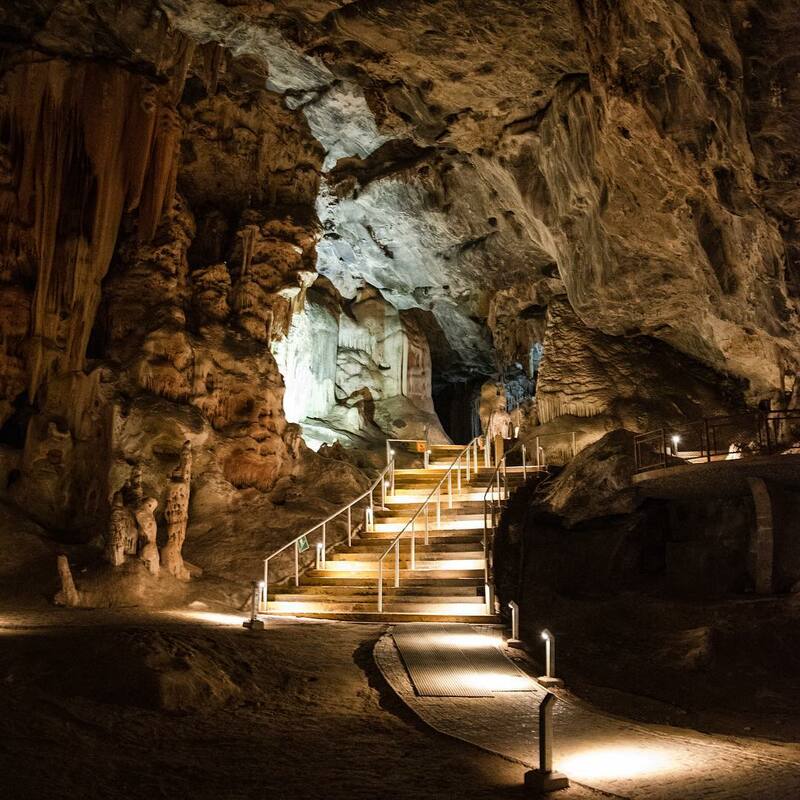 Oudtshoorn is famously known for its ostrich farms- but a mere 29km outside the city of Oudtshoorn you will find a the gem of the Little Karoo – the 4.5 million year old Cango Caves. During a tour (you have the choice to choose between the standard and the adventure tour) where you’ll go on a discovery tour in the unique stalactite caves. South Africa is known for its spectacular views just take a look at this one! Found in the Wilderness, at the View Point of the Map of Africa. Here, the Kaaimans River has shaped the landscape in such a way, that it looks like the southern tip of the African continent. A beautiful landscape that you can even enjoy from a kayak during a trip on the Kaaimans River. Beside the “Map of Africa” the Kaaimans River has more to offer. The old winding railway bridge at the mouth of the river near Wilderness Beach is a popular photo destination. 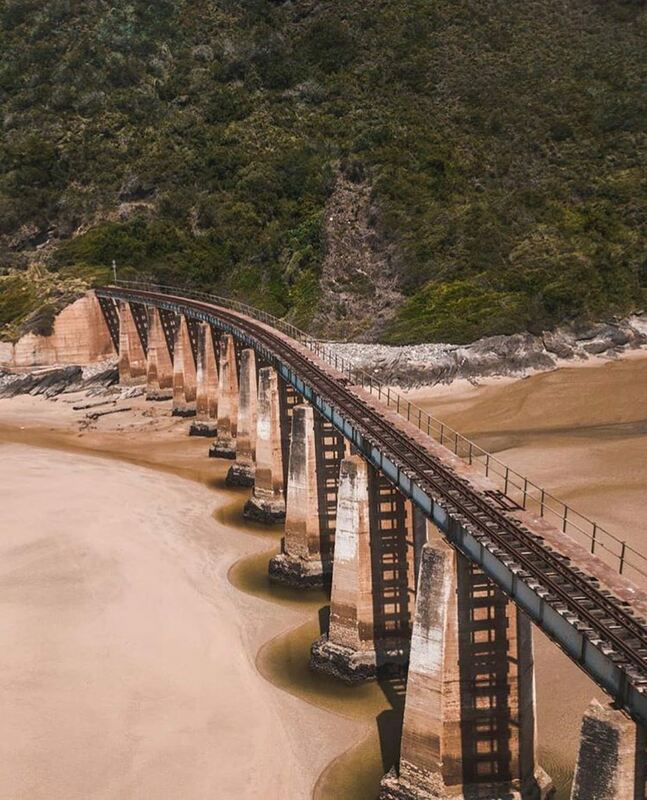 The bridge was opened in 1928 with a train connection between George and Knysna. Due to severe damages it has been closed since 2006. But it’s still worth visiting! Unfortunately this market is only open on Saturdays but so worth visiting. If you are around Sedgefield on a Saturday and hungry you should definitely stop by. They only sell homemade and local products, sourced by local farmers. 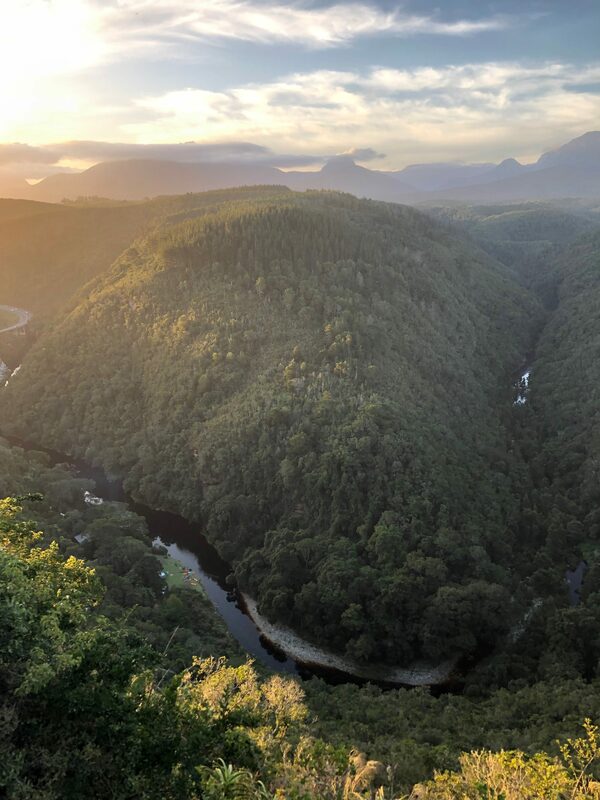 Shortly before Tsitsikamma Nationalpark between the Salt River, the Indian ocean and the Groot River Lagoon there is a small paradise called Nature’s Valley. With a beach stretching out for 20km. Positioned at the foothills of the Tsitsikamma mountain range and at the edge of a forest- this is an ideal stop if you’re seeking a peaceful and relaxed escape. The beauty of South Africa doesn’t just boast Safari’s and exhibit the Big Five. 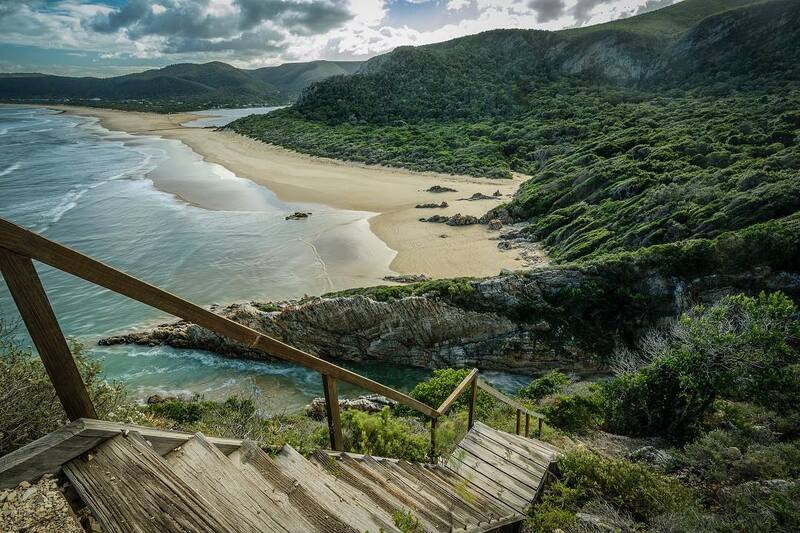 It also offers a wide range of beautiful and special beaches– such as Noetzie Beach in Knysna. After a round of swimming in the warm water of the Indian ocean, the beach invites you to wind down in a private setting. As the Noetzie beach is slightly secluded you may often be almost alone here – giving you the joy of enjoying the serene setting amongst the ancient castles along the beach in peace and quiet. The castles are also available for rental! What would a Top 10 list be without a great insider location to see an African sunset? 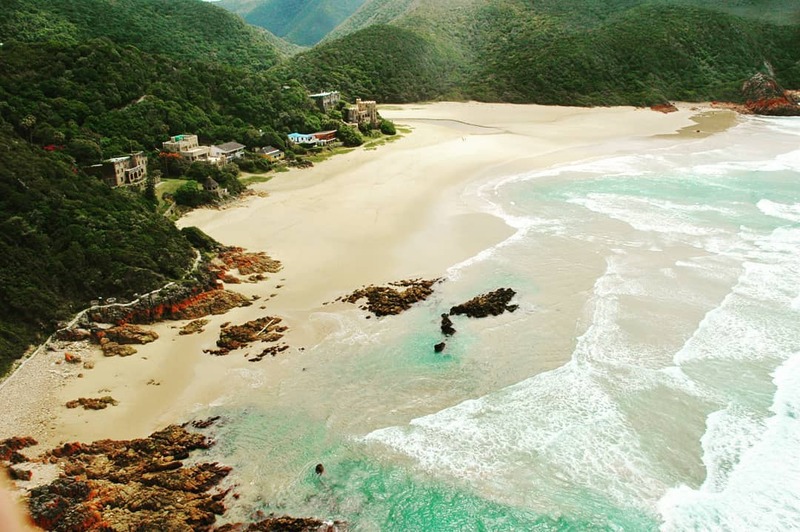 Of course there are plenty of places along the Garden Route where you can watch the sunset, but if you want to escape the cluster of tourist crowds, you should head to Brenton-on-sea. The perfect place to kick-back after a long day spent on the road. 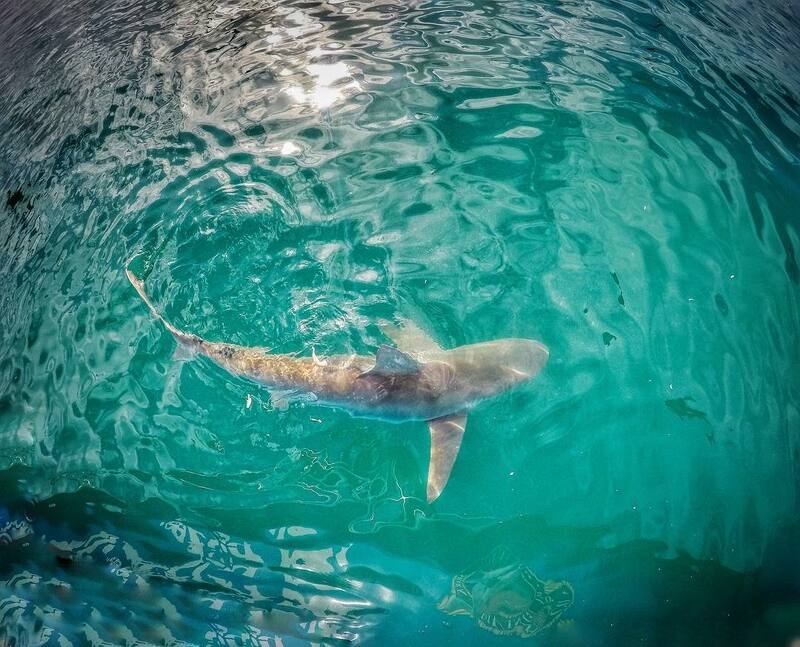 The coast of South Africa is home to white sharks. They tend to be visible especially during the season of winter. At Robberg Beach in Plettenberg – where seals often make themselves comfortable – one has a good chance to spot a great white shark. 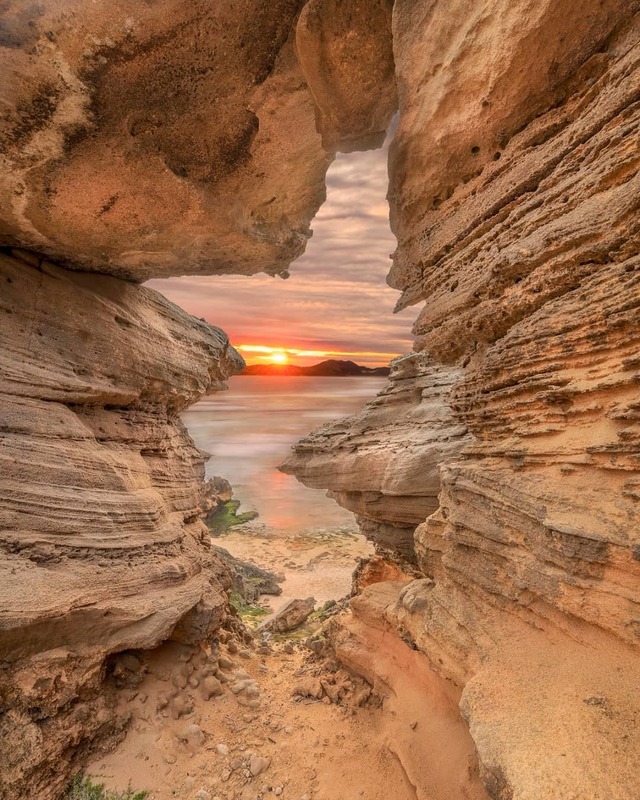 There are many places to visit along the Garden Route but we hope that these Top 10 Places has enticed you to go on a road trip along the Garden Route. Keep a look out for our article on the Top 10 Things to Do along the Garden Route- COMING SOON! **Also Available in German Translation.